This pipe starts 13 miles away, at a former island now underwater in the Gulf of Mexico, and it ends at this remote beach on Whiskey Island in Terrebone Parish. By this summer, sediment flowing from this pipe will add about 1,000 acres to the island. 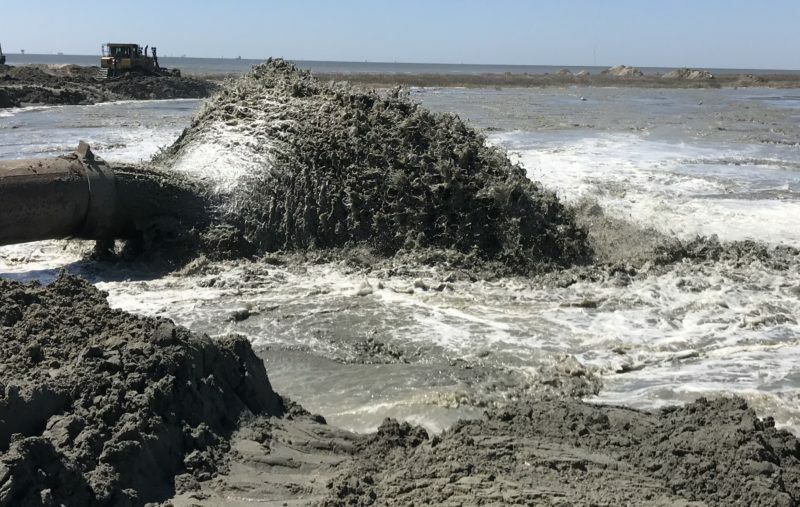 Coastal scientists are almost finished rebuilding Whiskey Island, a barrier island in Terrebone Parish that has been washing away for years. Beach restoration projects like this are a big part of Louisiana’s plan to rebuild and protect the coast. But they aren’t permanent, and some critics question their value. This story was produced in collaboration with WWNO-FM.